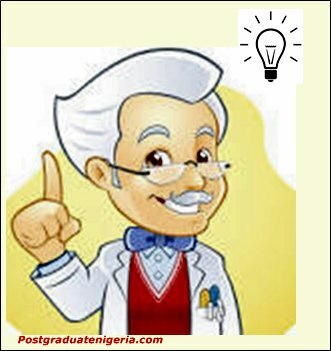 by this blog, Postgraduate Nigeria. earned her PhD in Botany from the University of Lagos. Though she had maintained a track record of academic successes right from her secondary school, she acknowledge that having a PhD at her age, and the record of being the best graduating PhD student didn’t come easy. Born in Lagos Island local government of Lagos state, Dr. Adeyemi attended Girls’ Academy, L/Island where she was the best student in WAEC, with seven distinctions. She proceeded to University of Lagos and graduated with a first class degree in botany in 2006. She completed her PhD in within record time in 2012. 4. Dr. Opeyemi Shodipe, 25: This young Nigerian scholar bagged her Bachelor’s Degree at 19, from Babcock University. After the mandatory NYSC programme, she entered for a Masters at University of Ibadan, graduating best in her department. She capped it with a well-deserved Doctorate degree in Information Science from her alma mater, Babcock University. She was 25. 3. Dr. Salihu Dasuki Nakande, 25: Born in October, 1987, he is one of Nigeria’s youngest PhD holders, and arguably the youngest in northern Nigeria. He graduated with a first class degree in Information Technology from Eastern Mediterranean University (EMU), North Cyprus at 21. Dr. Salihu completed his Master’s degree at Brunel University, U.K. He capped it with a PhD in the same University in 2012. 2. Dr. Olaoluwa Hallowed Oluwadara, 24: Acclaimed as Africa’s youngest PhD holders, Olaoluwa is a spectacular Nigerian intellectual and scholar, because of his achievements. He entered the University for a Bachelor’s degree at 15. He earned two B.Sc degrees in Mathematics and Physics, from University of Bangui, Central African Republic (CAR), run simultaneously. He bagged his Master’s degree from the same University. He crowned it with a PhD in Mathematics at the University of Lagos, Akoka, where he was the best graduating PhD student. Dr. Olaoluwa H. Oluwadara won University of Bangui’s all-time best student award from the Department of Mathematics (B.Sc), best B.Sc student award in Physics, 2007 and best M.Sc awards in Physics and Mathematics respectively in 2008. He currently is a Research Fellow of the Mathematical Analysis and Optimisation Research Group. 1. Dr. Nkemehule Karl Omebere-Iyari, 22: Here we have the leader of the pack. A colossus of intellectual ingenuity. Dr. Omebere-Iyari, bagged his PhD in Chemical Engineering from University of Nottingham in 2006, then aged 22. This amazing Nigerian, an old student of Kings College, Lagos had 8 As in his WAEC result at age 16. He proceeded same year to Oxbridge, Ikeja, where he wrote and passed his A-levels, scoring ‘A’ in Physics, Chemistry and Mathematics. He entered University of Nottingham immediately and graduated three years later with a first class in Chemical Engineering at 19 in 2003. He was also the best graduating student in Chemical Engineering that year. With a university scholarship, Omebere-Iyari wasted no time, and pursued his PhD. He received a EU grant of €17,000 every year, and finished his Doctorate in record time of three years, specializing in multi-phase flow. Omebere-Iyari has distinguished himself as an exceptionally gifted Nigerian. Upon graduation, he was worked with many multinational cooperation as Shell, Halliburton, e.t.c. He earned an MBA with distinction from INSEAD/Wharton, and is a member of many professional groups. the student-to-student exchange. Buy, sell or trade your used stuff @ No Cost,Campus Specific Classified Listing for virtually every university or college in Nigeria . Simply select your campus. Know your news arround you latest news in nigeria, national open university of nigeria, breaking news in nigeria , nigerian newspapers , olx nigeria and jamb. This is great news. PhD at an young age needs to be appreciated. This is the proud moment for Nigeria. Great minds can come from anywhere is proven. Thanks for updating the top news in Nigeria. Great idea Thanks for your great news, i proud your information and wonderful data here. I am working in writing company of scholarship essay writing service. It is support to the students for making the writing documents for the students.